A workshop on Modelling of Multibody Systems will be held at the Imperial College in London the 16th and 17th of November 2011 thanks to the hospitality of Dr. Simos Evangelou. There is no registration fee but confirmation of attendance is required before 10th of November in order to guarantee availability. Please contact the organizer at s.evangelou@imperial.ac.uk to book your place. It is suggested to download MBSymba in advance to experience it during the workshop. Please remind that MBSymba is freely available for academic and teaching purpose, but you should have your personal license of Maple 12 (or newer). 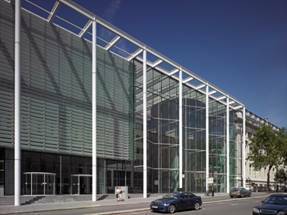 Venue: Electrical and Electronic Engineering Department, Imperial College London, Exhibition Road, London. This entry was posted in MBSymba. Bookmark the permalink.